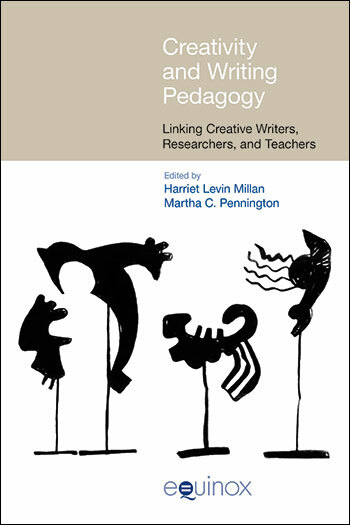 Creativity and Writing Pedagogy: Linking Creative Writers, Researchers, and Teachers offers a unique view of creative practices and pedagogy in writing from the perspective of writing teachers, creativity researchers and scholars, and writers themselves. The volume, collected and edited by a poet and a scholar who are both involved in the teaching of writing, seeks to bridge between the creative writing and the academic writing communities in building a case for creativity as central to all writing programs and showcasing creative practices in writing. With this goal in mind, the book combines a practical emphasis on creativity in writing pedagogy and curriculum with research and reflections on writing practices. Part 1 frames the collection by providing the editors’ perspectives, followed by five chapters in Part 2 which take research perspectives on creativity in writing. Part 3 offers four views of writers’ creative practices, and Part 4 offers two reflections on creative writing pedagogy. Part 5 broadens the coverage on writing and creativity to include travel, testing, and curriculum development in an international context. Creativity and Writing Pedagogy is unusual in linking research and practice in writing and the teaching of writing, as well as creative writing and academic writing orientations. The collection should be of interest to all writers and teachers of writing who want to expand their knowledge of creativity and creative practices in writing and the teaching of writing.